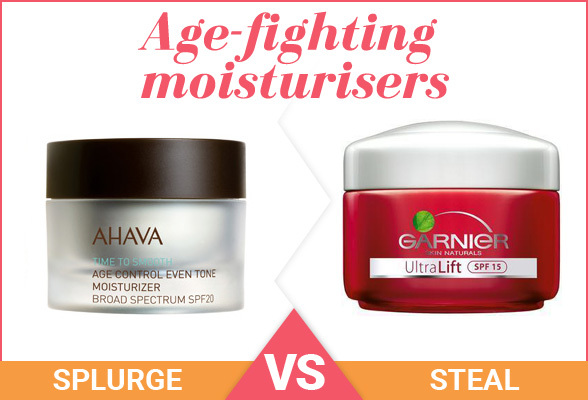 Whether you’re skimping or ready to splurge, you – and your skin – are bound to love these luxe-to-less anti-ageing buys! As the name suggests, this formula is bursting with botanically extracted plant actives proven to give your skin a lift. It also works hard to reduce fine lines and wrinkles. Not only will this foaming cleanser lift pore-clogging dirt and impurities, it’s also loaded with anti-ageing ingredients for a firmer complexion post-cleanse. This serum does the lot improves skin elasticity, brightens and revitalises dull, drab-looking complexions, and evens out skin tone. What more could you want?! Noticing wrinkles and sagging skin appearing on your neck and chest? 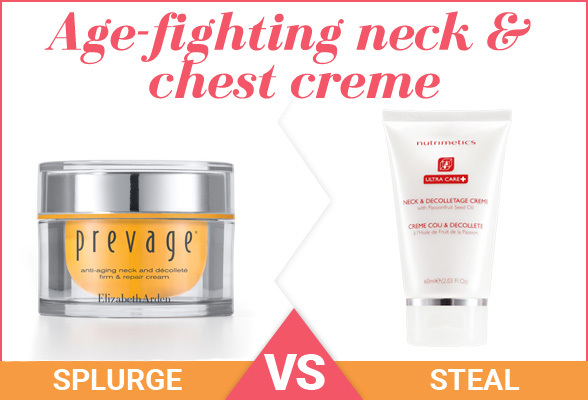 Up your anti-ageing skin care game by applying this firming neck and décolleté cream morning and night. This rich cream contains a blend of botanical oils to hydrate, regnerate and protect the skin on your chest and neck from the signs of ageing. 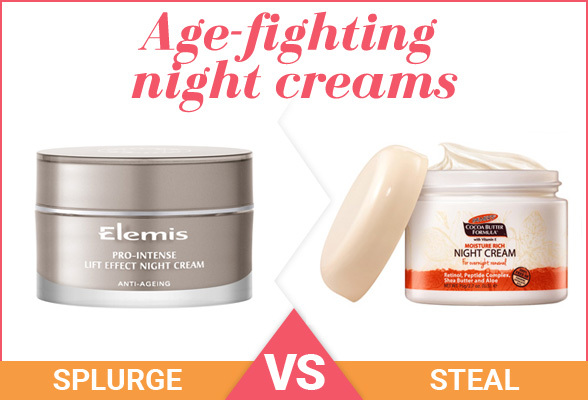 Stop sagging skin in its tracks with this rich night cream. It works overnight to stimulate the skin, lifting and firming jowls and contours for a more defined skin texture in the morning. Think you can’t get younger-looking skin for just fifteen bucks? Think again! This night cream is packed with antioxidants, vitamins and retinol so you can wake up with refreshed, youthful skin every day. The jar this prod is housed in is gorgeous, but what’s inside also scores major points. The eye cream helps to firm and smooth the skin, all while protecting it from ageing in the future. This replenishing eye cream does just that – it gives the eye area a much-needed injection of hydrating ingredients like sea buckthorn, cucumber oil and vitamin C. The result? A smoother, suppler eye area. 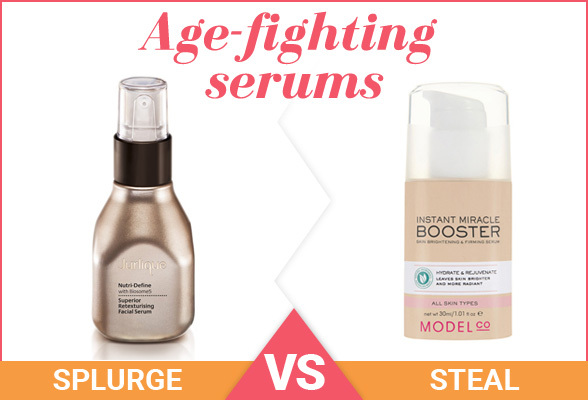 Do you spend or save when it comes to buying skin care? Would you like to try any of these anti-ageing goodies? Is your neck giving your age away? I’m going try out the garnier ultralight cream! Just read its reviews and they have been glowing! Would love to try Aveda Products. 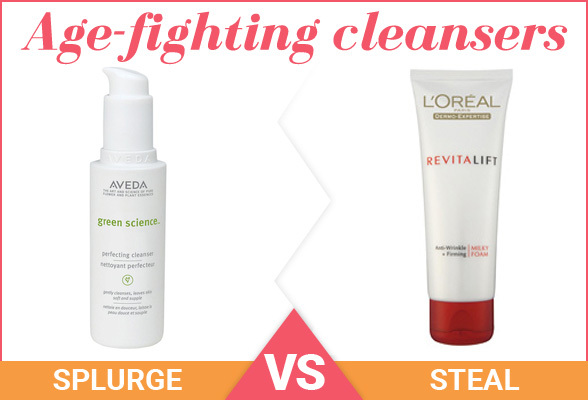 I like to buy serums and moisturisers that are a bit more pricey, but tend to save on cleansers and scrubs. I love a luxurious and pampering serum! Efficacy trumps rather than brand name so whatever works really! Love seeing the two options side by side! 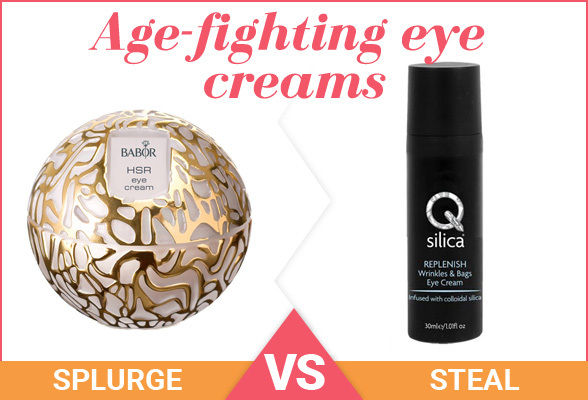 I will always spend a little more for eye creams, serums and moisturisers but I have come across and used some cheaper products which really work. I'm savvy with my beauty products why spend all that money on an expensive item when the lesser brand is just as good as the expensive brands are sometimes I reckon people go to ridiculous lengths to get looking fantastic with these bigger brands they go out & splurge & throw there money around like it's nothing when you can look fab with just these. Unless the fragrance has changed in Palmers I can't use anything in that brand. I use both, I buy whatever works for my skin. I prefer it if it's cheaper, but I'll pay accordingly for products that give me results. Great range of expensive and cheap options! Would be nice to splurge every now and then, treat the Ol skin! I would love to try Garnier Anti Ageing Day cream. Added to my list. Some great products here - both expensive and cheap - that I'd love to try. Yes, I have been using Elemis, and for luxe spa brand, not too shabby. Just overpriced in Australia. I mix match...depends of the ingredients in the product, not the brand fame or the 'cult' status. For ex. Babor is very pricey for the intensely synthetically perfumed (bad for the skin) cream that does not contain many beneficial ingredients, but allergens yes!